The Louis Vuitton Monogram Roses line just launched. 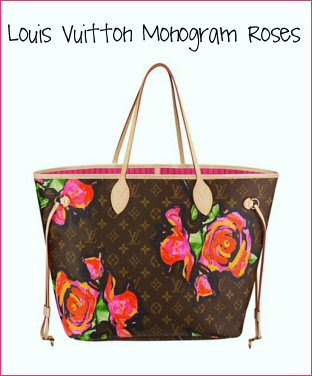 I love Louis Vuitton and I love roses, so you would think I would love this collection. Honestly, I think it is a bit tacky. To take something as classic as LV and add bright neon flowers to it looks a little out of place. Granted, I rarely like their printed pieces. I know that there are many out there that would disagree with me, though. To each their own, I suppose. I just know that if I were not completely broke right now, I still would not be rushing out to get this limited edition line of bags.